Illini Football is set to take on Northwestern at Soldier Field in 2015, 2017, and 2019. The Illini are returning to the stadium for the first time since the 2013 game against Washington. 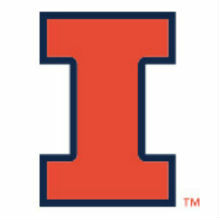 The Fighting Illini football team is set to return to historic Soldier Field for a three-game series beginning in 2015, Director of Athletics Mike Thomas announced today. In 2015, Illinois will play Northwestern at Soldier Field on Nov. 28, in a game originally scheduled for Memorial Stadium in Champaign. In addition to the 2015 date, the Fighting Illini will play the Wildcats at Soldier Field in 2017 and 2019. Illinois hosted Washington at Soldier Field in 2013. "It's exciting to seize the opportunity to further engage our incredible number of Illinois alumni and fans in the Chicagoland area with these three football games coming to Soldier Field," Thomas said. "As the flagship university in the state we are committed to all Fighting Illini, and as part of that mindset, we will continue to bring a variety of athletics events to Chicago where we have the largest alumni base of any Big Ten institution. "By taking these Thanksgiving weekend games to Soldier Field, we will provide a great environment for our student-athletes, fans and students who are already in the Chicagoland area for the holiday, and it becomes a destination game for all Fighting Illini fans. Ending the regular season at a historical site and one of the best stadiums in the world will make for a big-time event for our student-athletes and will be a great springboard for our football program into the postseason. Recruits want to experience greatness, and this is the latest in a long line of connections between the dominant football brands in our state that start with the earliest days of the NFL with Halas and Grange, and stretch through Butkus, Caroline, and many other former Illini through the decades." Football fans will be able to enjoy tailgating opportunities and a special Chicago-style Street Fest are located just outside Soldier Field for fans and alumni to enjoy a day full of activities at the historic home of the Chicago Bears. More details on pregrame activities available for fans attending the game will be forthcoming. "We plan to offer our season-ticket holders at Memorial Stadium a special ticket price for this game, while also providing a wide-range of ticket prices for different areas of the stadium," Thomas said. "The feedback from the fans who attended our game there in 2013 was extremely positive, and we will be working to provide a great game-day atmosphere for our fans and players."